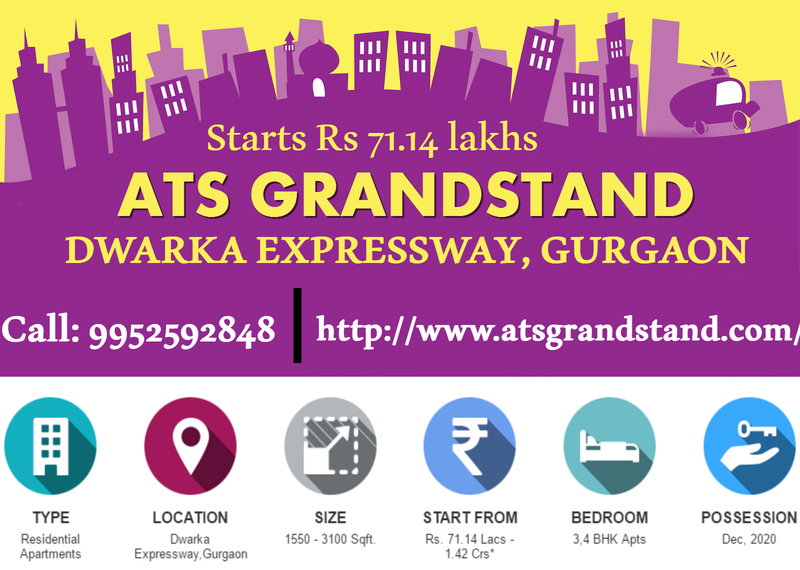 ATS Grandstand is a brand new residential project, launched by the ATS group and coming up in Gurgaon. 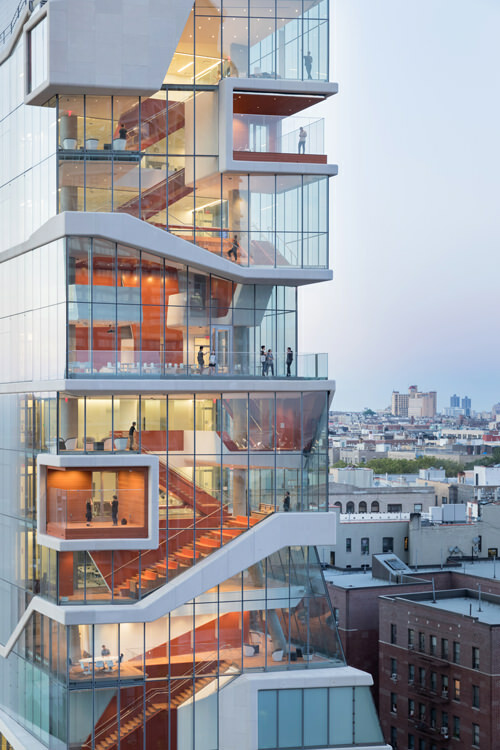 It is an architectural edifice that is innovatively built taking into consideration the luxury and comfort of all its residents. The completely fresh and new housing project is nestled in the lush greeneries and pristine landscapes. ATS Grandstand Sector 99A is developed over 13.25 acres of land parcels and incorporates 9 sky-rocketing towers housing 620 residential formats. On the offers are 3 and 4 BHK luxurious apartments with sizes varying from 1550 sq. ft. to 3100 sq. ft. The homes have well-laid and spacious project layouts featuring large sized windows that keep the place airy and well-lit all the time. The interiors are feature rich and packed with everything latest and of high quality like modular kitchen with chimney and hob, split units in rooms, a combination of marble and vitrified tiles flooring, granite kitchen counters and many more. The landscapes are pleasing and well-maintained which makes the property look extremely incredible. The upcoming habitation hosts an array of extravagant external amenities that include a modern club house, sports facility, well-demarcated play area for kids with a crèche, swimming pool, meditation centre, ultra-modern gym, multi-purpose hall, 100% fresh water and power supply, intercom facility, hi-speed elevators, party hall for social get together, indoor games room, and lush green open landscapes to keep the atmosphere cool and fresh. Recently launched at Dwarka Expressway, Sector 99A, the property enjoys a prime location that allows easy commuting to all parts of the city. Well-connected to Delhi Border and Manesar and just a stone’s throw away from Dwarka Expressway, it is mere few minutes’ away from NH-8 and the IGI Airport lies at a distance of 10 kms from the project. The KMP expressway which serves as a great corridor for freight and transportation is also an added advantage. Close to the project are several natural sightseeing sites in the foothills of beautiful Aravallis. Basic conveniences like shopping malls, schools, colleges, supermarkets, health-care facilities, restaurants, banks, ATM, public transport, etc. are all easily accessible within no - time. The high-rise apartments are available at a price starting Rs 71.14 lakhs that gradually moves up till Rs 1.42 crores. ATS Group is one of the most successful and top builders in National Capital Region who is well-known for its timely delivery, successful completion and quality construction of its wide range of projects. Serving millions of people, it plays an important role in the growth and development of housing estate.